With the support of our industry experts, we are engaged in bringing forward Bottom Pouring Set. The offered pouring sets are manufactured at our trust worthy vendors end the use of supreme quality raw material and sophisticated technology. Our skilled professionals meticulously check these pouring sets to ensure its strength and durability. 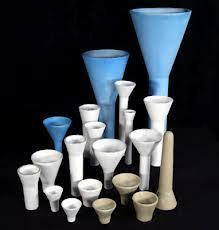 We offer these pouring sets at very reasonable rates to the clients. We Offer Bottom Pouring Sets. Our Organization Is Involved In Manufacturing And Supplying Of Bottom Pouring Sets. These Bottom Pouring Sets Are Known For Additions Such As Neutral Chemical Nature And Resistance To Heat And Moisture. Bottom Pouring Sets Are Widely Used In Several Industries. We Are Offering B.P. Sets To Our Customers With A Wide Range Of Bottom Pouring Sets As Per The Different Specifications Of Our Industrial Clients With Excellent High On Quality, Neutral Chemical Nature, Resistance To Heat And Moisture And This Most Important I.E. Reasonably Priced. Different Customers Need Different Size As Per Requirement. The Diverse Fractions Of Raw Materials Like Grog, Plastic Fire Clays, And Non-Plastic Clays Are Mixed And Plugged For Obtaining A Homogeneous Mixture. At our business unit, only the extraordinary standard of tempered steel is used for the invention idea of Mild Steel Welding Electrodes. The possible variety of terminal is ideal to be utilized due to its outstanding appearance and ability to work in sync with worldwide quality criteria. The electrodes are extensively used for welding purpose as these do not get flow even at high heat and easily become part of the weld. Further, these are finely polished surface, accurate dimensions, protection against scaling, corrosion and good energy section. Honeycomb vents are to shield breaks for purifying connection. We can perform these vents according to your design inside a few days and you can utilize our official range from stock. We can provide Honeycomb vents with support, pre-drilled with bands or with flow-drilled string holes. The official stuff is aluminum which can be delivered a nickel coating. Air obtained yet different breakthrough. In a synthetic separate gases are filtered and washed out when they macroporous through a chemical filter. 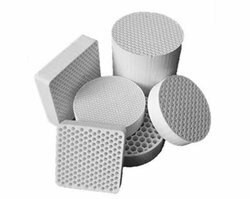 Air new macroporous honeycomb mixture based compound filter gives the greatest volume of substance for chemisorptions and can neutralize even ultra low intensity of vaporous contaminants. This new technology will eliminate contaminants from air supply stream which is containing gasses, smell elements or volatile organic compounds extra effectively. There Are Many Cable Companies Available In The Market Such As Firecrete Castables And Normal Castable As Per Requirement Of The Customers With Affordable Prices. 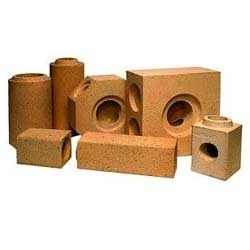 Firecrete Super Castable Or A Normal Castable Is A Form Of A Powder Which Is Then Used To Reconstitute In Hard Rock And Later Used As Refractory Products. We Are Granting You An Entire Variety Of High-Quality Products That Include Fiercest Super, Fiercest Super Castable, Industrial Fiercest Super, Industrial Fire Crest Super Castable And Fiercest Castable. We Are Engaged In Providing High-Quality Of Fire Crete 70% Alumina Castable To Our Clients. These Cables Are Useful For Making Strong Joints Of Ceramic Bonded Are Used Extensively In Building Material, Metallurgy And Petrochemical Industries. We Had Never Got Any Complaints From Our Regular Customers Because We Are Shipping Order As Per Requirement With Excellent Quality & High Tolerance Against Heat. We Mishri International are manufacture, supplier and Exporter of Gas Purging Refractories in Gujarat, India, which are used in various industrial applications like steel refinement, or continuous casting, and is aimed at the convection of molten steel, diversion of impurities in molten steel, and the prevention of steel solidification in the sliding gate valve. In accordance with this, we do our best to supply diverse products to meet a customer individual requirements while guaranteeing efficiency and safety. 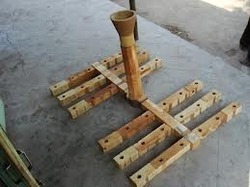 Seating Block For Porous Plug. We Mishri International are manufacture, supplier and Exporter of Gas Purging Refractories in Gujarat, India, which are used in various industrial applications like steel refinement, or continuous casting, and is aimed at the convection of molten steel, diversion of impurities in molten steel, and the prevention of steel solidification in the sliding gate valve. In accordance with this, we do our best to supply diverse products to meet a customer individual requirements while guaranteeing efficiency and safety. Specification: PRODUCT A. P. % Max. D. U. Gm/Cc Min. AIA % Max. 1 E I-! % Max. MgU % Min. GAS Permeability Application Porous Plug MI - DPP 30 - - - 95 400 Steel Ladle, LRF,VOD Seating Block MI- ULCC75 - 2.75 75 0.7 - - Seating Block For Porous Plug. Thermocouples are the very much popular heat sensors. They are cheap, exchangeable and have approved connectors and can measure a wide range of heat. The main deficiency is accuracy and system failures. The Imperial World Trade buyers can avail from us certain habits of Thermocouple Tips that are utilized for the purpose of fluid metal temperatures in furnace, ladles, converters in steel factories. The most frequent energy temperature sensors are built using great quality stuff in different models with different interior diameters. It ensures accurate and real-time scaling of heat change inside the glass-lined reactor. 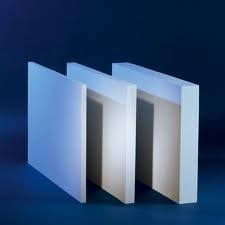 Uniforce allows a regular size and design made tantalum thermal tips for Glass lined material producers. Normally, the sensor consists of a delicate revolution regulator connected in a tantalum point, which practices a threaded joint affection and Nylon gasket and is twisted directly into the top of the peak of the valve stem. The sensor wires are included in a robust PTFE tube which, through the internal cavity of the valve stem, is attached to the final head. 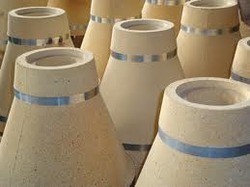 Looking for Refractory Products ?